Datanla Waterfalls | Hello Saigon! I think this is my first ever waterfalls in Vietnam that I came close and personal with. 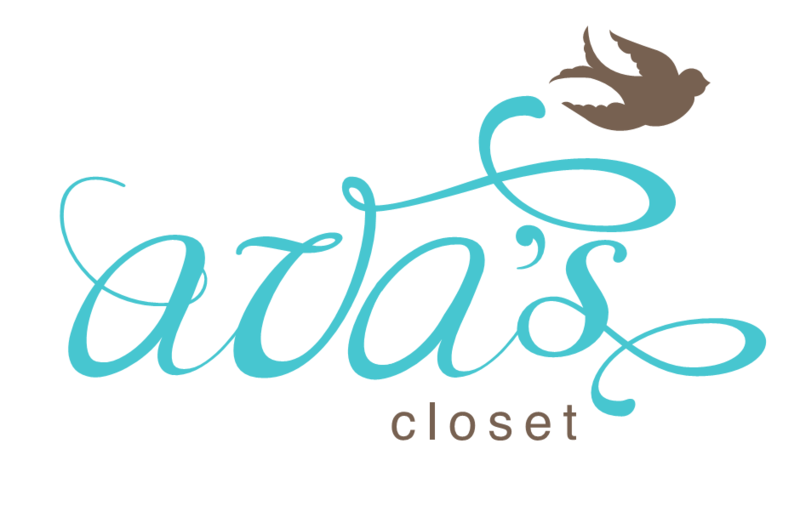 Situated in the mountains of Dalat before you get inside the town proper. It’s also a site for many activities like swimming, cable rides, and bungee jumping (if I remember correctly), among others. It’s in the middle of the forest and its just lovely to take in what nature has to offer. It’s not so commercialized that you really have to hire a cab to get here or join a tour because its really quite far from the town. But it sure is worth a trip. There’s a restaurant here to so you can spend, say, early morning for a tour and stay for lunch. Best to order in advance so your food can be prepared whilst your exploring the area. We chose the roller coaster of course. You have to drive it yourself though. And as you can imagine, the hubby didn’t care for the slow down signs so excuse the shrills and squeals from this vid. Oh and you go back up in one of these too. It’s a shorter ride up and you don’t have to do any driving. The kids loved the ride so much that my friend’s son rode this like 7x!!! 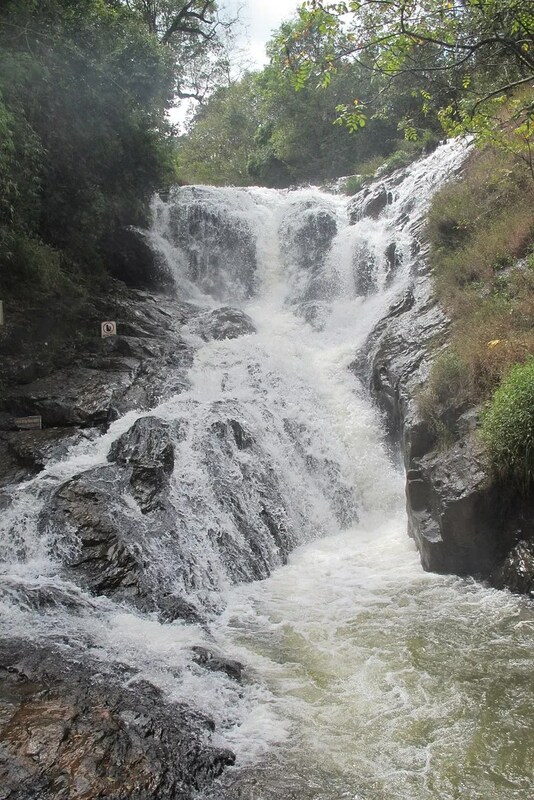 So when in Dalat, don’t forget to see the Datanla Waterfalls! 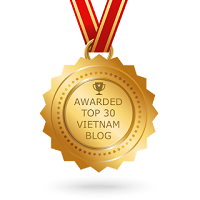 This entry was posted in Beyond Saigon and tagged Dalat, Datanla Waterfalls, vacation, Vietnam. Bookmark the permalink. 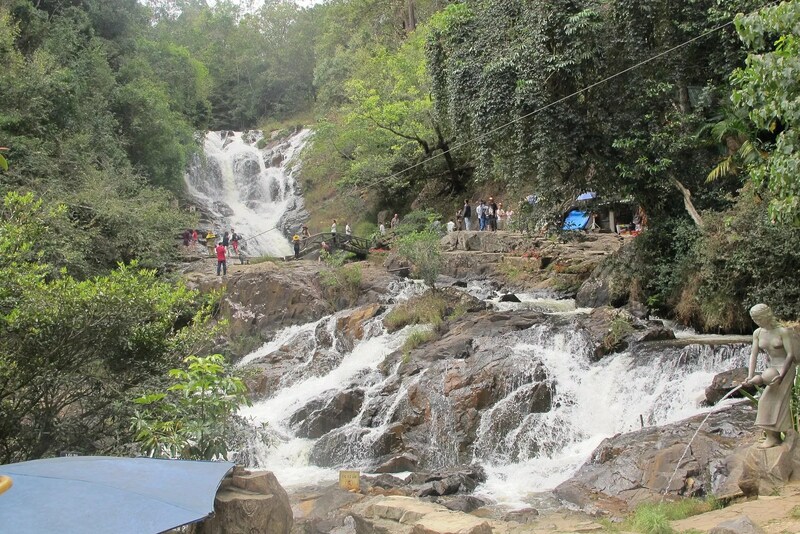 Pingback: Tales From Dalat (7) – Revisiting Datanla Waterfalls | Hello Saigon!